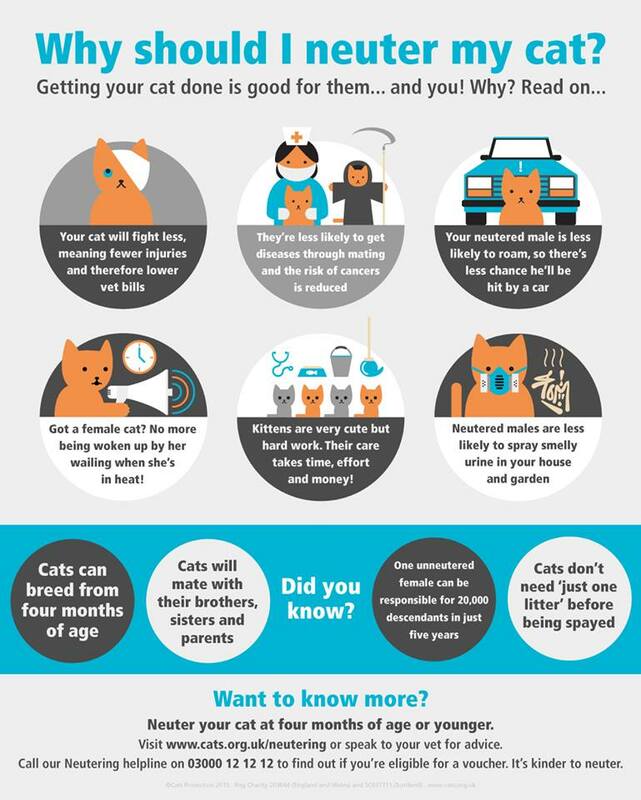 We seek to dispel myths, spread the neutering message and make it easier for owners on low incomes to get their cats neutered. We run neutering compaigns regularly allowing you to neutur your cat at a discounted rate subject to terms and conditions. Please contact us on enquiries@lichfield.cats.org.uk or 0345 371 2741 for more information. For more in depth information about neutering please click here.